Although, especially in terrain such as we have in Cumbria, GPS does not totally replace conventional maps it is very convenient, and increasingly popular. 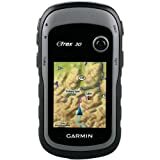 For example the Garmin eTrex 30 Outdoor Handheld GPS Unit gets very good reviews from users. It combines durability with user-friendliness and has a screen that is readable in bright daylight. There is an electronic compass and altimeter built in, including a barometric recording facility so that you can monitor for changes in the weather. Being dust, dirt and water-proof the Garmin eTrex 30 will serve as a great mountain companion either for your self or the lucky person for whom you buy it as a gift. 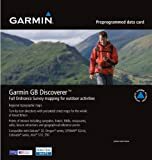 If the person for whom you’re buying this already own a GPS unit, or if you’re feeling especially generous, how about adding Garmin GB Discoverer – Lake District mapping software? The combination of a Garmin eTrex 30 and Garmin GB Discoverer for the Lake District gives detailed full-colour zoom-able mapping with contours and the familiar feel of an Ordnance Survey map including rights of way, bridleways and permitted paths. In addition to typical OS data you’ll find hotels, cafes, capsites and much more. This easily installed Garmin product with its search and navigation options will enhance your Lake District walking holiday, from the planning stage onwards. Our selection of the Garmin eTrex 30 for emphasis here is determined largely by the fact that this is principally a gifts store aiming a good value for modest money. There are, of course, more sophisticated and more expensive models as well as cheaper versions. See here for a wider range of Garmin handheld GPS units.